Congratulations to our two WVCSD Odyssey of the Mind World Finals First Place teams! Photos by V. Holland. 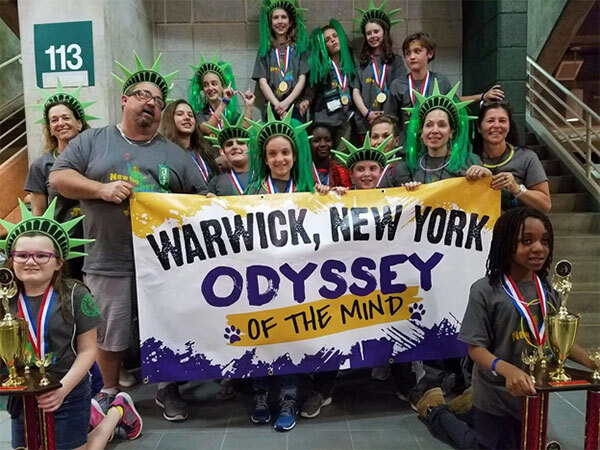 Two teams from Warwick were among about 825 teams from around the world who competed in the 38th Odyssey of the Mind World Finals May 24-27 at Michigan State University in East Lansing, Mich. The two Warwick teams each took first place, making it the first time in Odyssey history that two teams from the same District won first place in the same problem. Many thanks to the parents, teachers and coaches who provided support to the teams. See more photos.